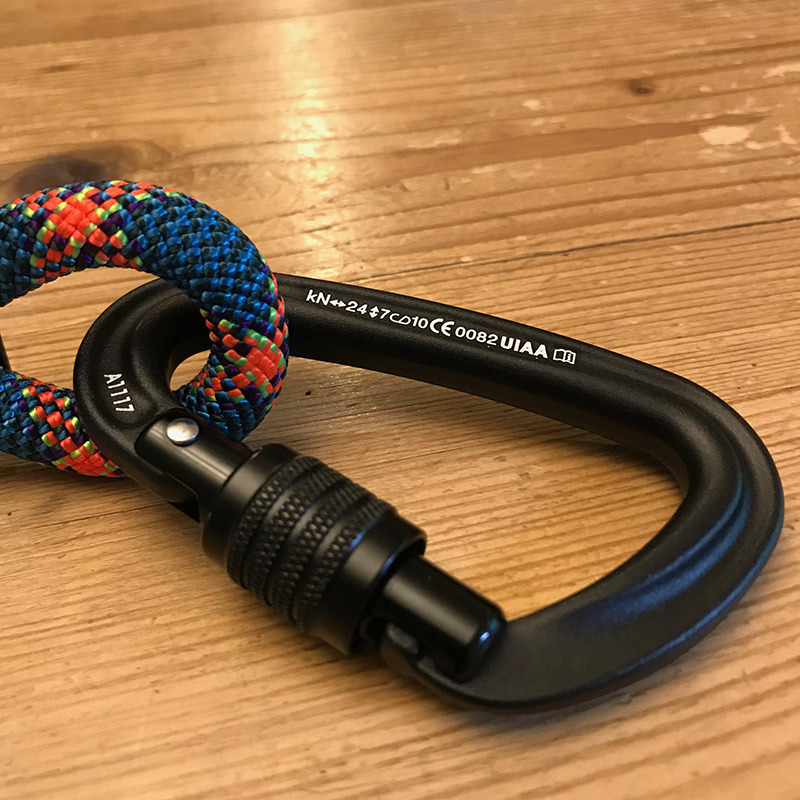 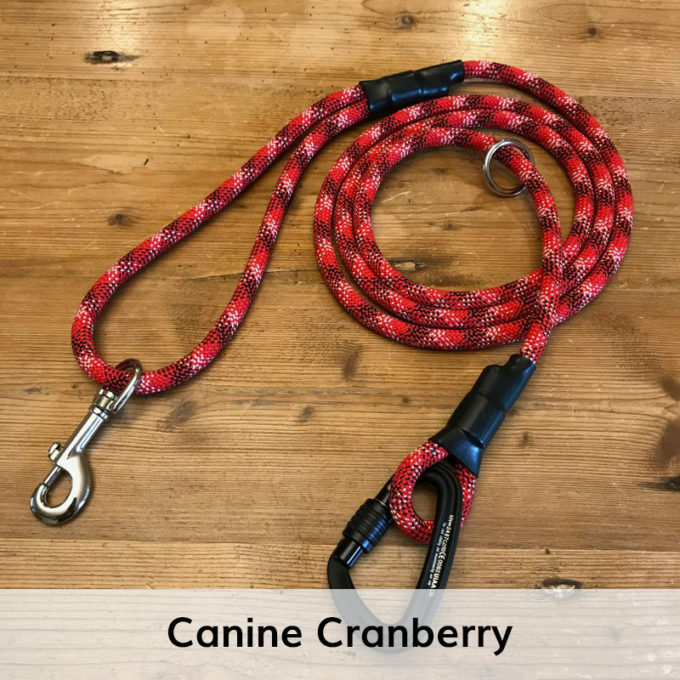 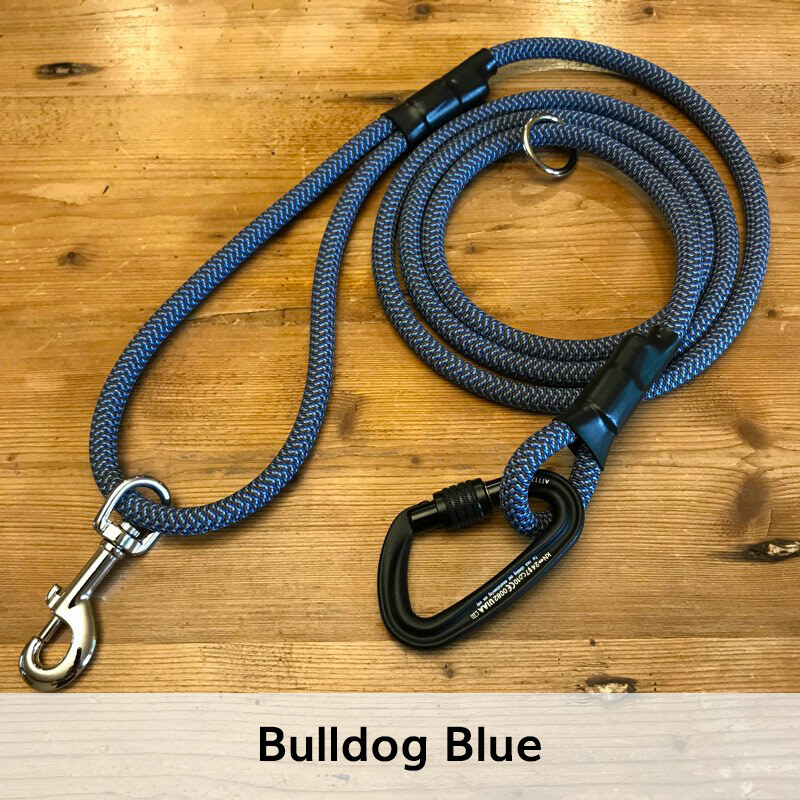 Mountain Dog’s Carabiner Amazing Versatile Leash is built with a real UIAA certified locking carabiner that will hold over 5000 pounds. 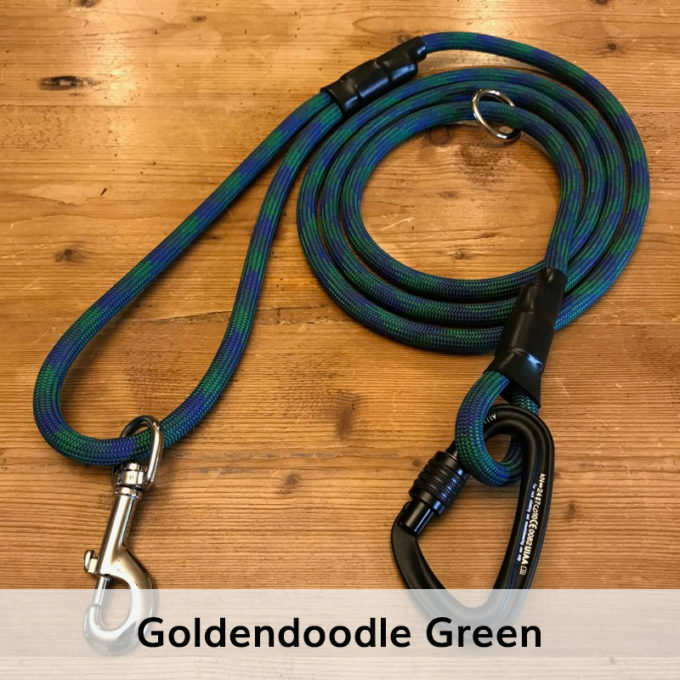 The Carabiner Amazing Versatile Leash is assembled by hand in the U.S.A. from recycled climbing rope. 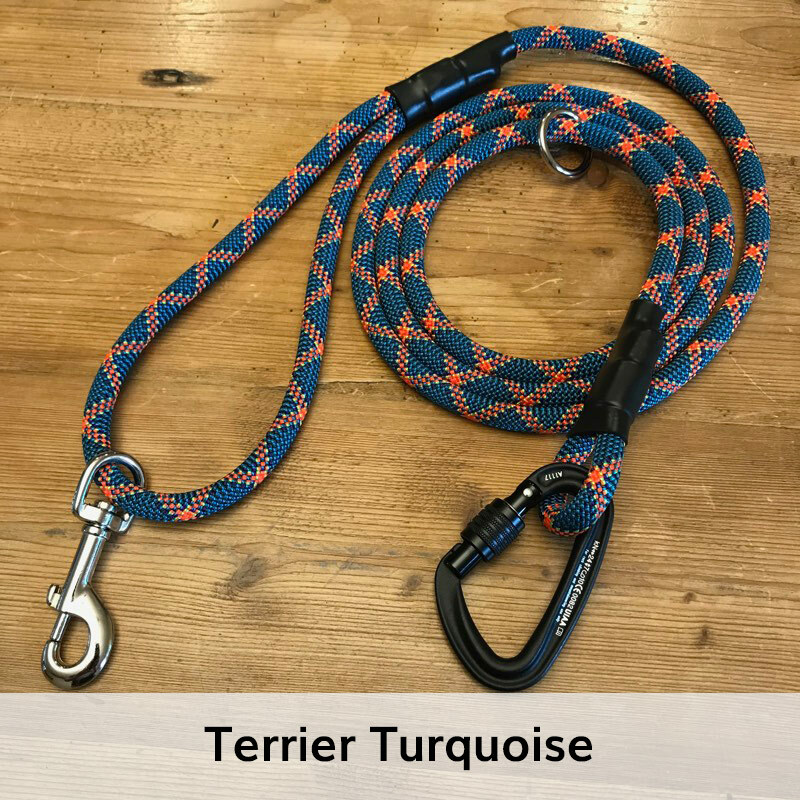 The loops at either end of the leash will hold almost 1500 pounds. 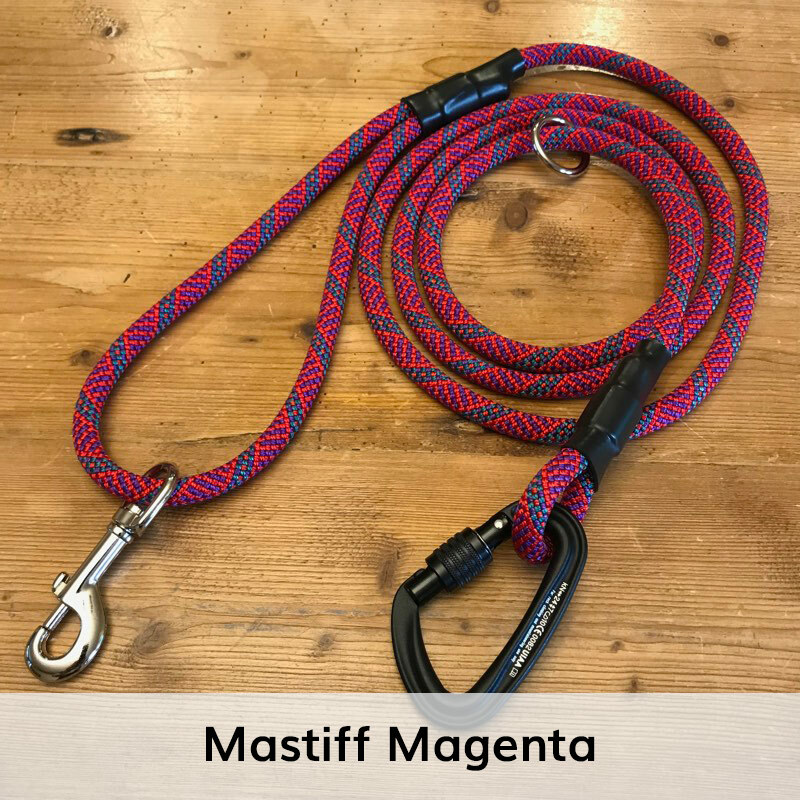 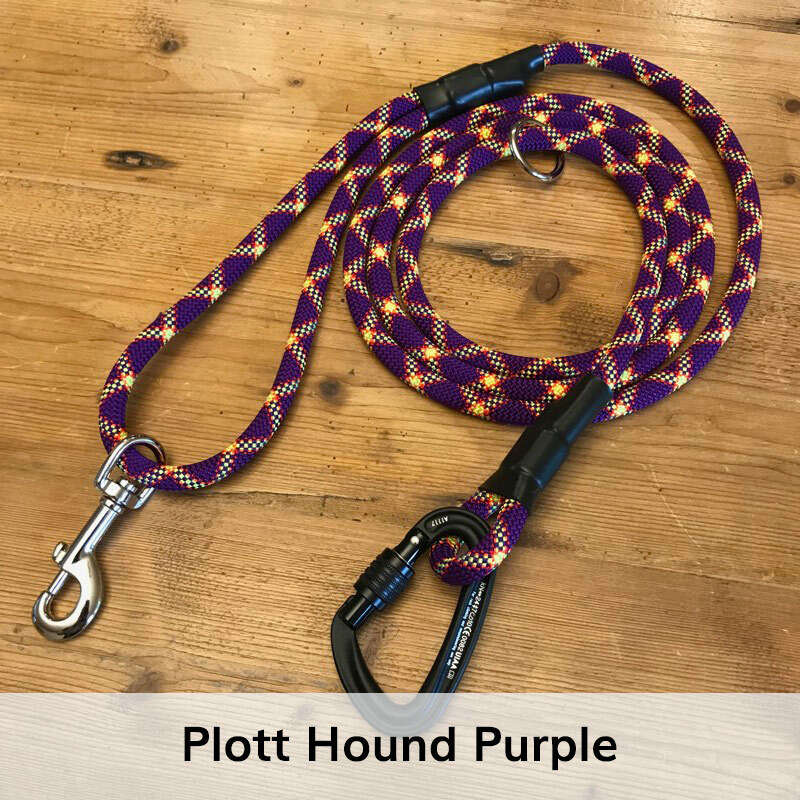 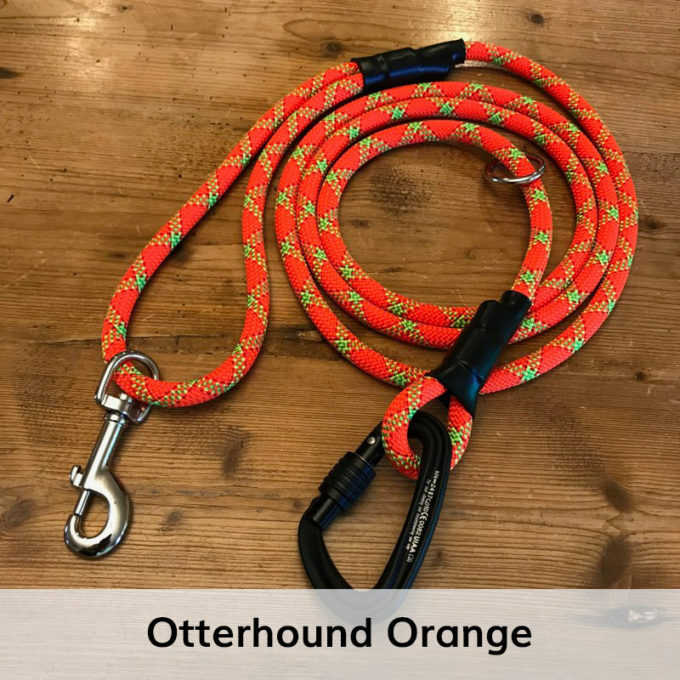 This leash is made with real UIAA certified dynamic rock climbing rope, which is incredibly strong and durable. 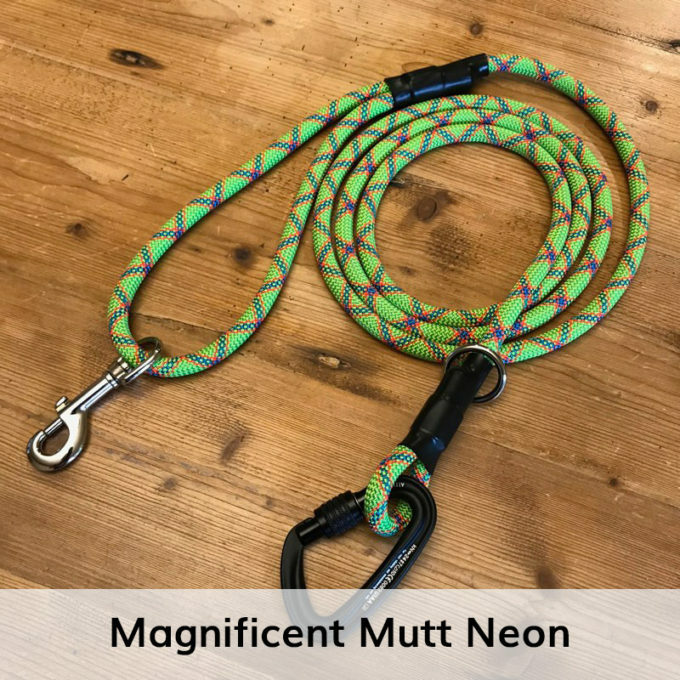 All Mountain Dog Leashes come with an unconditional lifetime warranty that even covers chewing.